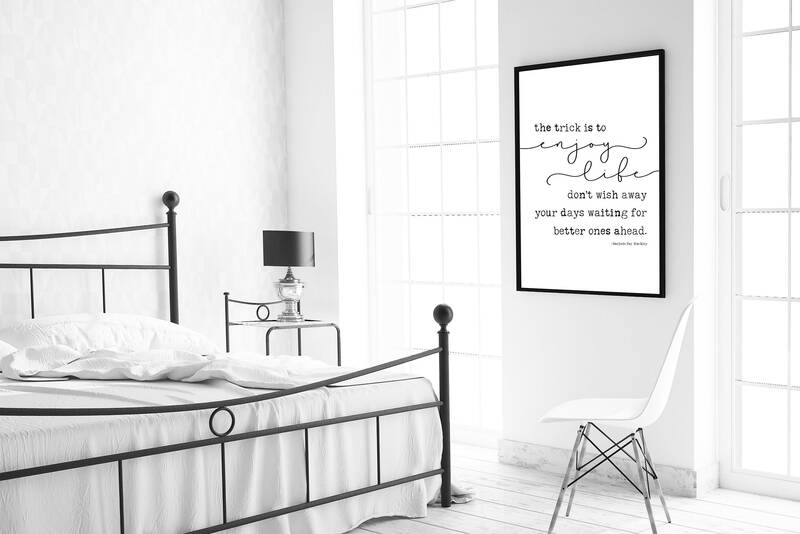 This pretty black and white print features the quote, "The trick is to enjoy life, don't wish away your days waiting for better ones ahead" by Marjorie Pay Hinckley. - This print is available as 24x36, 16x20, 11x14, 8x10 or 5x7 inch. It is UNFRAMED. - Printed on matte card stock. Fast delivery, print was on thick, high quality paper. Sturdy packaging that wouldn’t let my mailman bend it-phew!